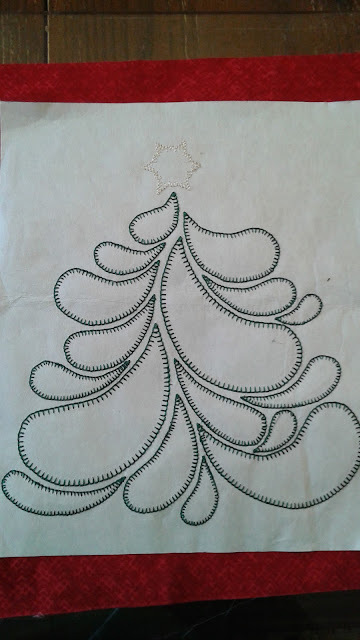 The original pattern for this was ripped out of something....not sure what....many years ago and hung on my design wall for years. I finally made it up into a table runner last year. I knew I wanted to include it in this quilt so I sized it appropriately. It was fun using all sorts of different greens to make this tree. I also varied the size of the blanket stitches depending on the sized of the feather. Big stitches for big feathers and little ones for little feathers. You can see the difference in the stitching on the back. 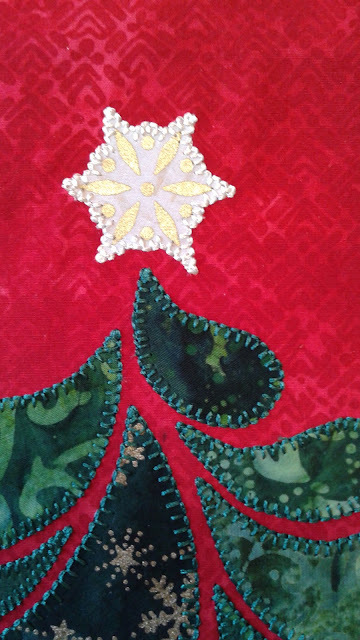 I had fun stitching around a snowflake I cut out of a white print for the star. And the final block! Such fun. 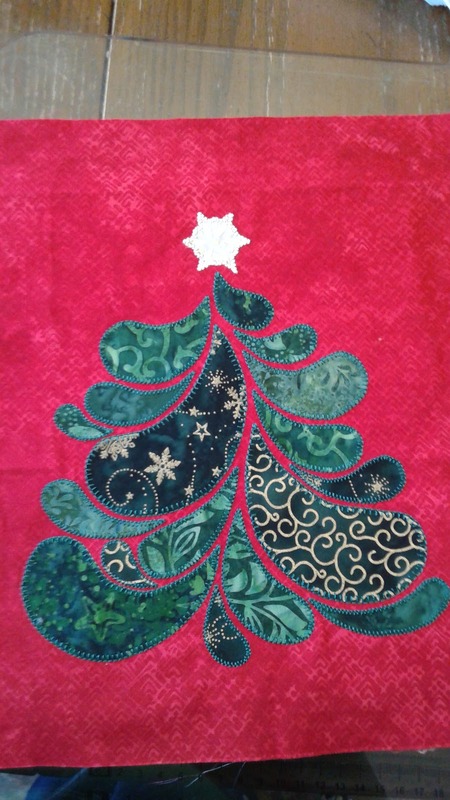 Lovely tree, and the applique stitches a super finish.Do you still have the pattern ? Suzy this is so cute. 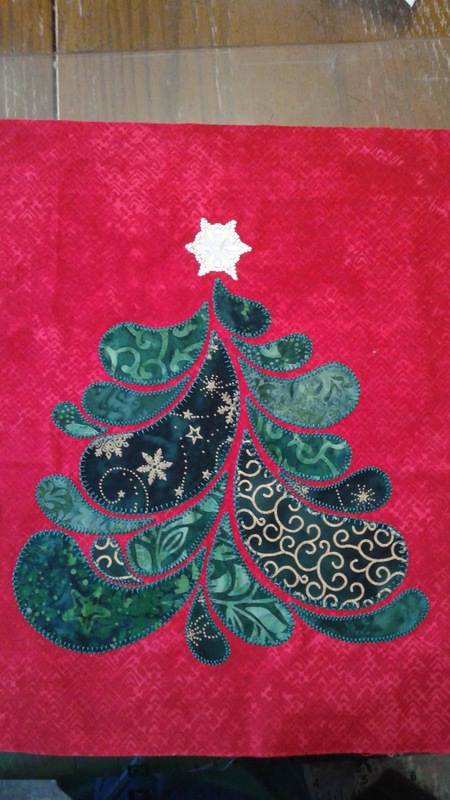 As an applique fan, I love to see new patterns...Christmas trees just seem to lend themselves to so many pretty interpretations. Beautiful. I've had a similar pattern on my "to do" list for a couple of years. This makes me want to find it and do some planning. 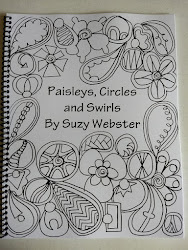 I've seen this pattern before - I just love it. Yours is lovely. Really sweet block, perfect for Christmas. I Wish You a Merry Quilt-a-long - Presents!